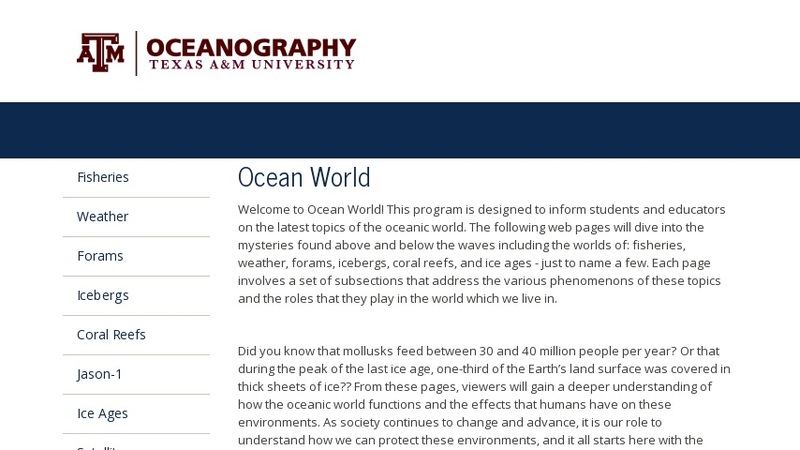 Developed and maintained by the Jason Education Project at the Texas A&M University, this comprehensive site has educational information and activities on weather, foraminifera, coral reefs, satellites, El Nino, ice ages, fisheries, waves, icebergs and currents. A wealth of student and educator resources is available. Teacher resources include a crash-course in oceanography, a section on using technology in the classroom, and five classroom activities.